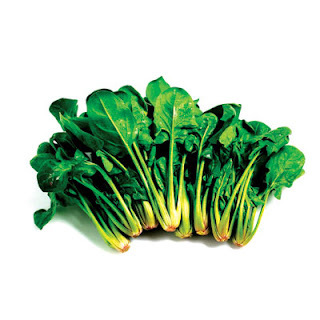 Tiredness does not stand a chance against spinach's abundant stores of magnesium and potassium. That's because magnesium flushes fatigue-inducing sodium from cells and ushers in potassium, which is essential for converting sugar into energy. Consuming a cup of cooked spinach everyday could double your energy levels in as little as one week. And if you're one of those who suffer from chronic headaches, noshing on spinach every day can reduce the frequency and severity by up to 50 percent. This is because of spinach's riboflavin, a B complex vitamin that makes the brain more resistant to headache triggers like stress. But what I love most about these yummy greens is the fact that it makes you slim. A cup packs only 41 calories and delivers 25 percent of the daily recommended dietary allowance of calcium, which binds to fats in the intestines and shuttles them out of the body before they can be absorbed. Plus, calcium suppresses the body's output of calcitriol, a hormone that promotes fat storage in the belly. Regularly consuming spinach helps melt pounds twice the usual rate. So you see, there's more to it than just energy. Eat them every day and you're on your way to a slim and healthy body. Thanks so much for all of this info. I eat spinach about every other day and I always use it rather than lettuce in my salads. I knew it was healthy but never knew all the details as you have posted. Great info. Thanks. Spinach is on my grocery list. Didn't know it would do so much for me. You're selling this hard and we agree with everything you're saying, BUT.....wish spinach tasted better. Truly. We go with Asparagus, other greens.